I've sung the praises of the Opera web browser before, and with the release of Opera 9.2 today, there's even more reason to give Opera a try. In this release, the biggest new feature is the Speed Dial. 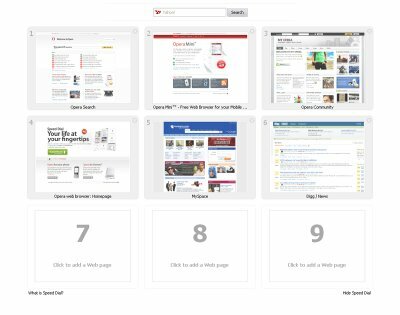 The Speed Dial is a very clever feature that shows the Opera team is still ahead of the curve in innovating new web browsing capabilities. Similar to what you'd find on your mobile phone, you can set 9 sites that you frequently visit in your Speed Dial. 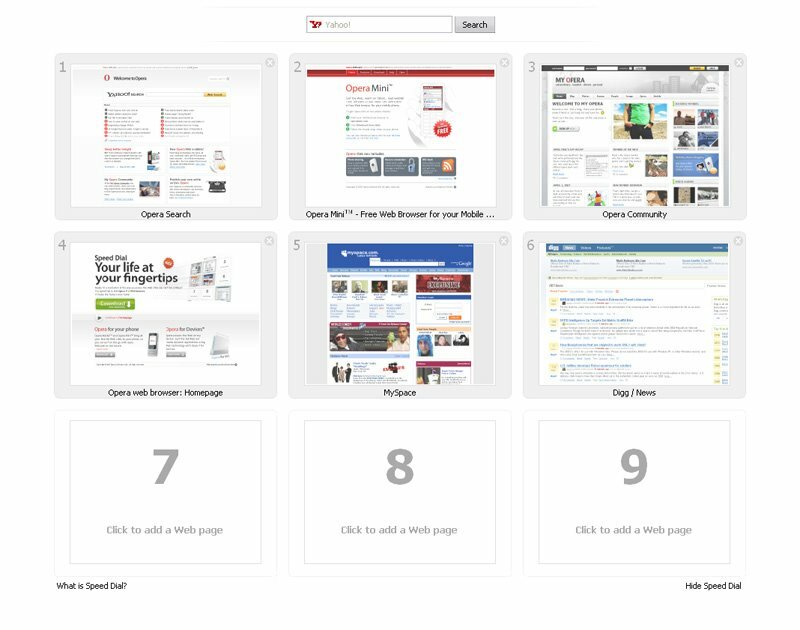 Each time you open a new tab, you'll see a 3 by 3 grid of visual bookmarks corresponding to each of your speed dial sites. You can add, visit, or edit your speed dial sites from this interface. You "speed dial" by entering a number from 1-9 in your address bar, each number corresponding to one of the sites you've set. Or, you can use keyboard shortcuts (Ctrl + one number from 1-9). Other new features in Opera 9.2 include new developer tools, support for fullscreen YouTube videos, automatic search from the address bar, and thumbnail hovering over tabs in the windows. If you're looking for a well-designed and speedy alternative to Firefox or Internet Explorer, you now have more reason than ever to try Opera.